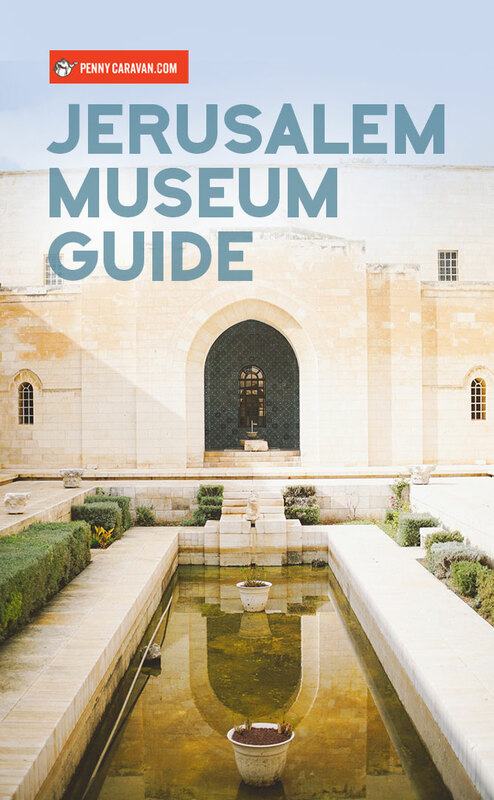 One would expect a city with as rich of a timeline as Jerusalem to be overflowing with museums, and indeed that is the case. 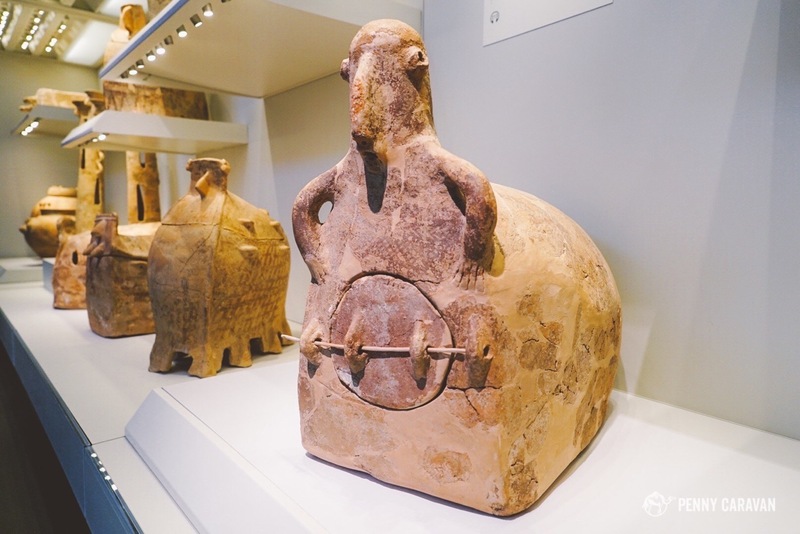 So after taking in the historical treasures of the city, seek out one (or more) of its many museums to gain a deeper understanding of its story. 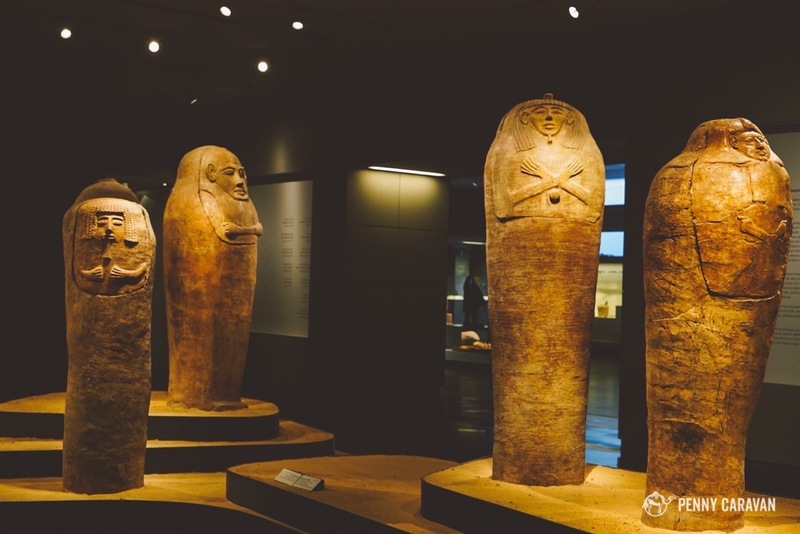 Centrally located, the Israel Museum houses treasures stretching back into the farthest reaches of pre-history, through the biblical era, and into the present. 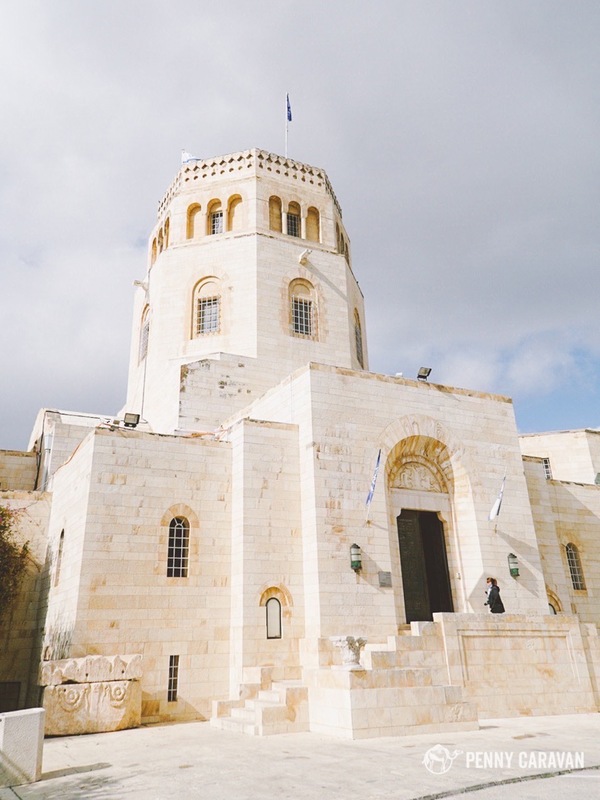 The archeological wing features an impressive array of artifacts spanning the Holy Land’s history, while other wings host fine art displays. 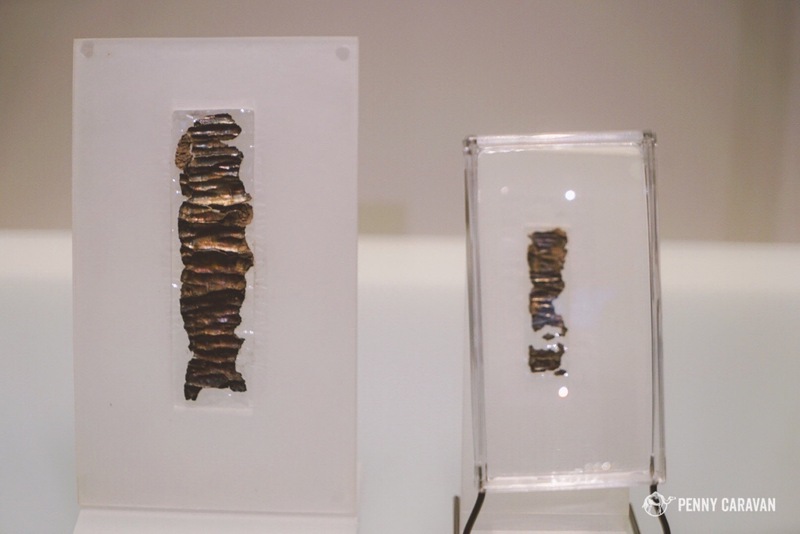 Perhaps the most spectacular exhibit is the Shrine of the Book, which houses the Dead Sea Scrolls, offering visitors and impressive glimpse of these ancient, well-preserved documents, including the famed Isaiah scroll, of which a section is always on display. Allot at least half a day to visit, and consider going on Shabbat as it’s one of the few attractions that will be open. 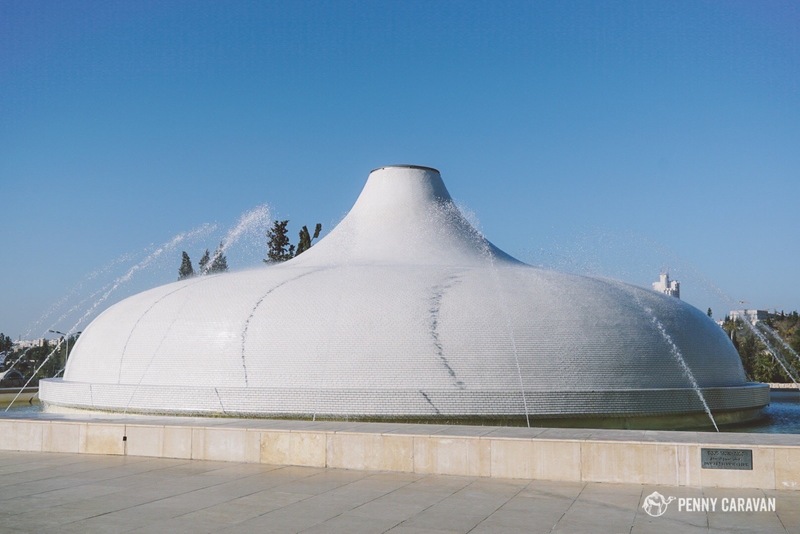 The Shrine of the Book is shaped like the lids of the clay vessels in which the Dead Sea Scrolls were discovered. 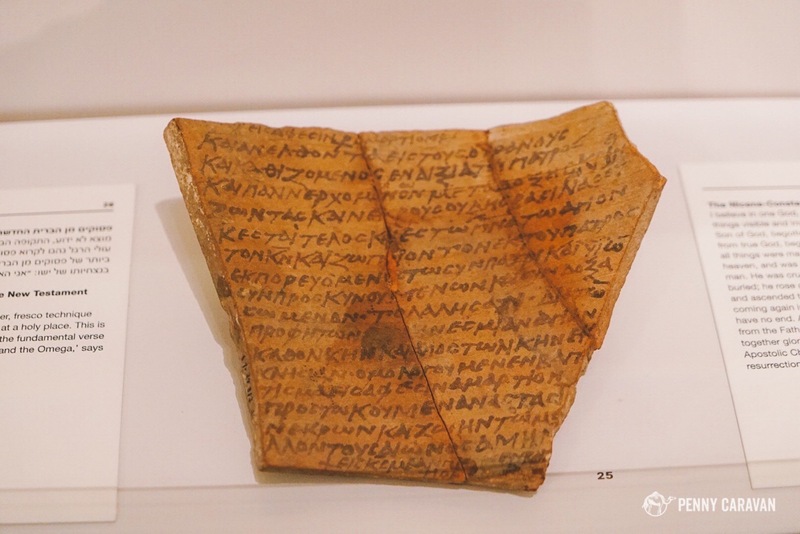 The Nicene Creed is written on this piece of pottery which is thought to have been a pilgrim’s souvenir from the Holy Land. History came to life for us here, where we saw artifacts from lots of other places we’ve been like the pyramid at Saqqara. 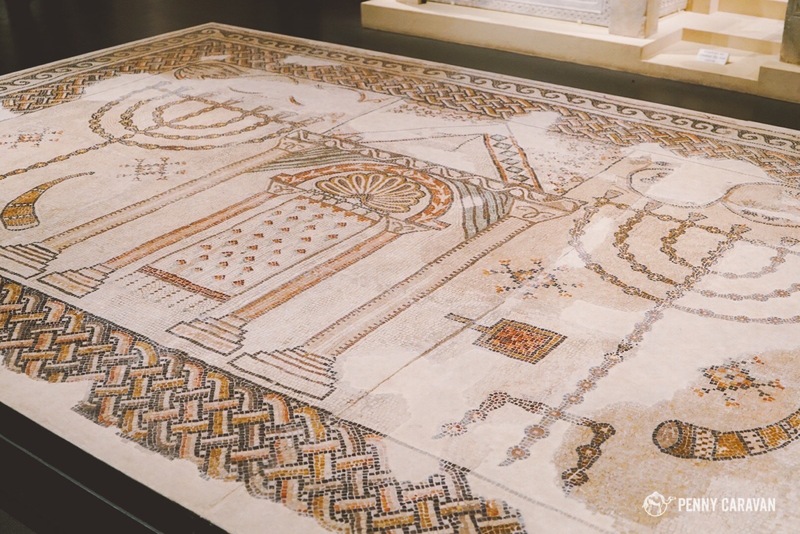 Mosaic floor from an ancient temple. 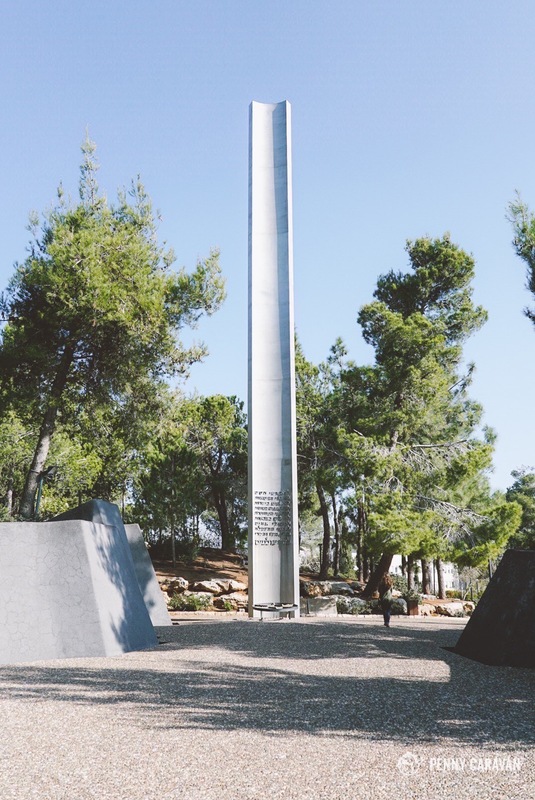 Sobering is the only way to describe a visit to Yad Vashem, a memorial to the victims of the Holocaust. The architecture of the main exhibit hall is designed to be a disorienting experience for visitors, zig-zagging you chronologically through the Holocaust as the Nazi persecution of the Jews and other minority groups descended further and further into sadistic inhumanity. At the end is the Hall of Names, containing the records of all those known to have perished, and honoring those whose names were lost to history. The grounds also host the Hall of Remembrance, where a flame burns eternal and ashes from victims are contained. In the Children’s Memorial, a single candle burns in the darkness, reflected infinitely by a vast array of mirrors, as a voice reads the names of the more than 1.5 million children lost in the Holocaust. 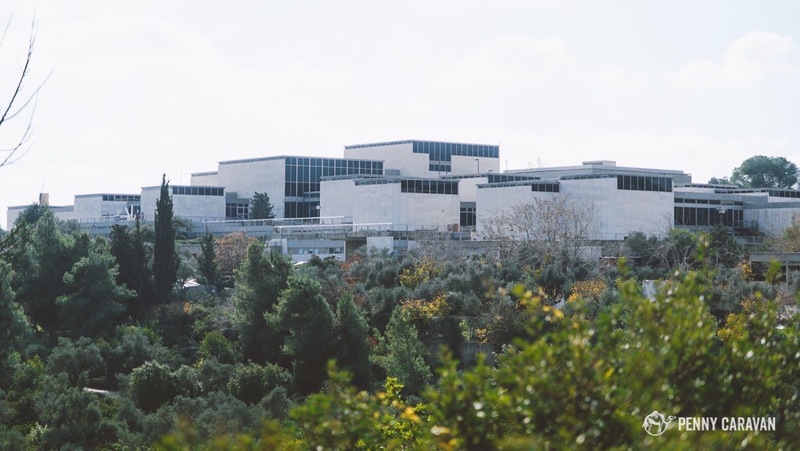 If a museum is meant to preserve the memory of the people and culture it represents, then Yad Vashem does it in the most effective way possible. Plan to spend half a day there, and much longer reflecting on what you encountered. Entry: Varies according to different tours. 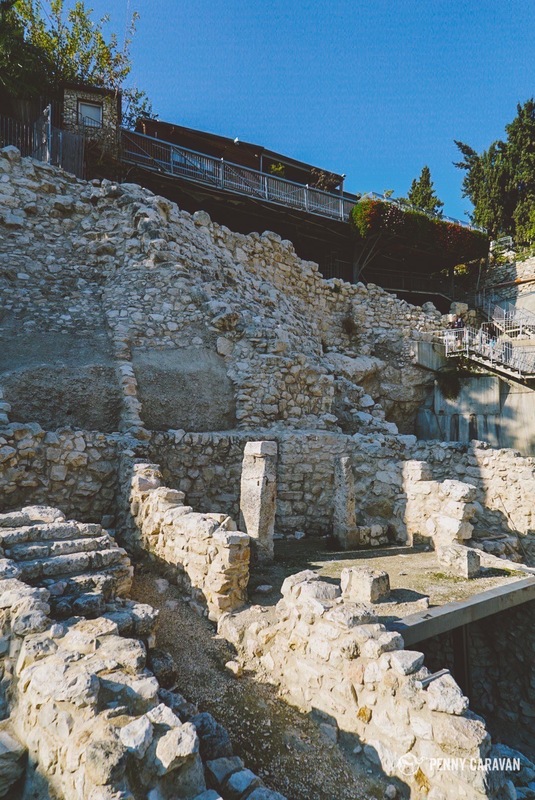 South of the Old City, this compound contains the oldest ruins in Jerusalem, dating back to the time of King David before Solomon moved the city across the Kidron Valley and established the First Temple. 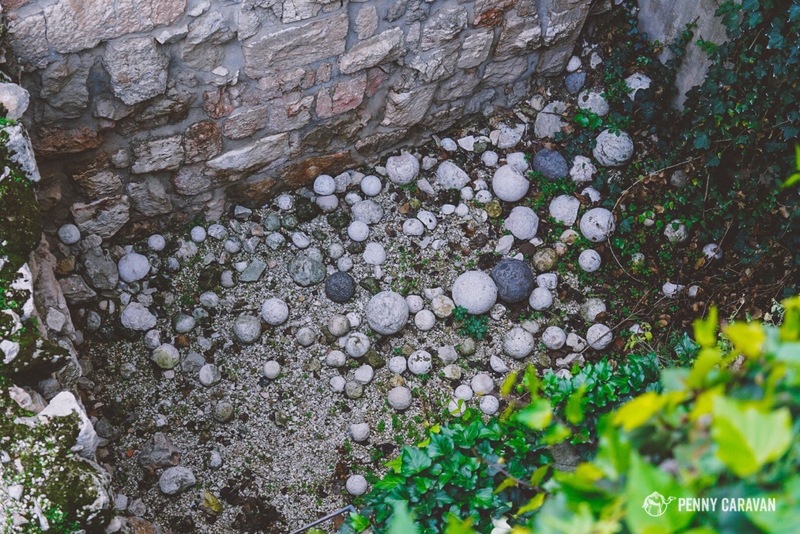 There’s a rich archeological history to explore, which you can do for free in the above ground areas. 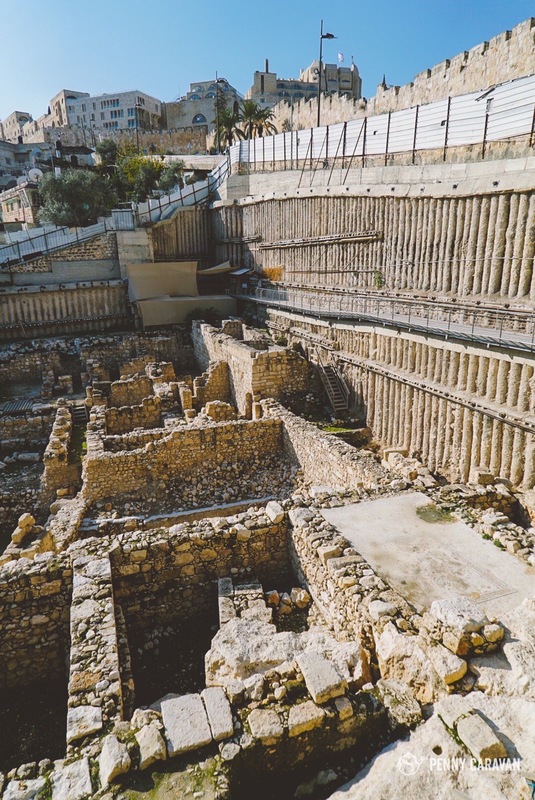 For a small entrance fee, you can visit the underground areas including Hezekiah’s tunnel, a long passageway that channeled water into the Pool of Siloam where Jesus healed a blind man. There’s still water in the tunnel you’ll have to wade through so dress accordingly! Allow for an hour or so to explore the free areas, and half a day or more for the paid areas. 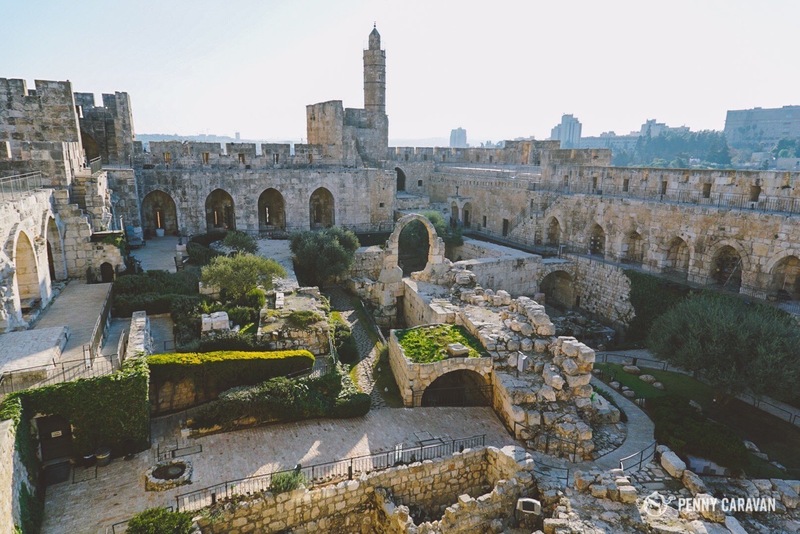 Located near Jaffa Gate in the Old City, the Tower of David citadel is a fortification from the medieval era that was wrongly attributed to King David by invaders. But the name stuck, and today it’s a great place for vantage points of the Old City at sunset. 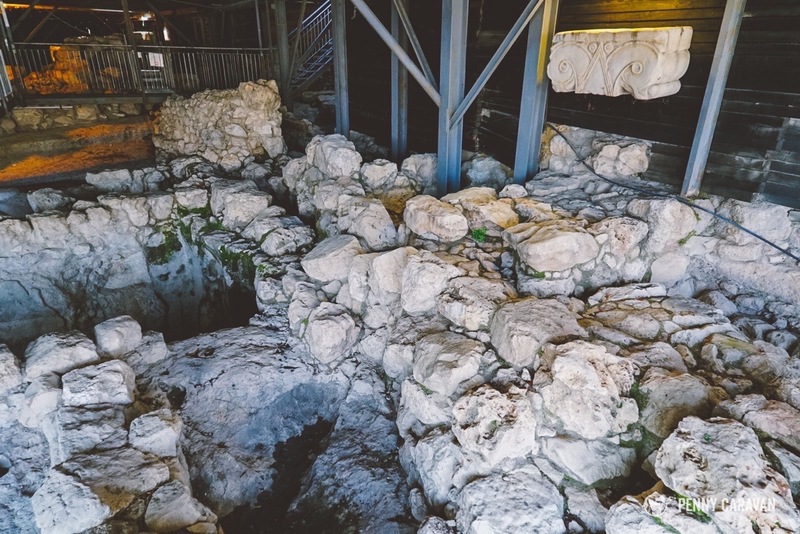 Around the grounds it hosts numerous exhibits that tell the story of the Holy Land from conqueror to subsequent conqueror. This is probably the best place to visit to gain a chronological understanding of the story of the land. 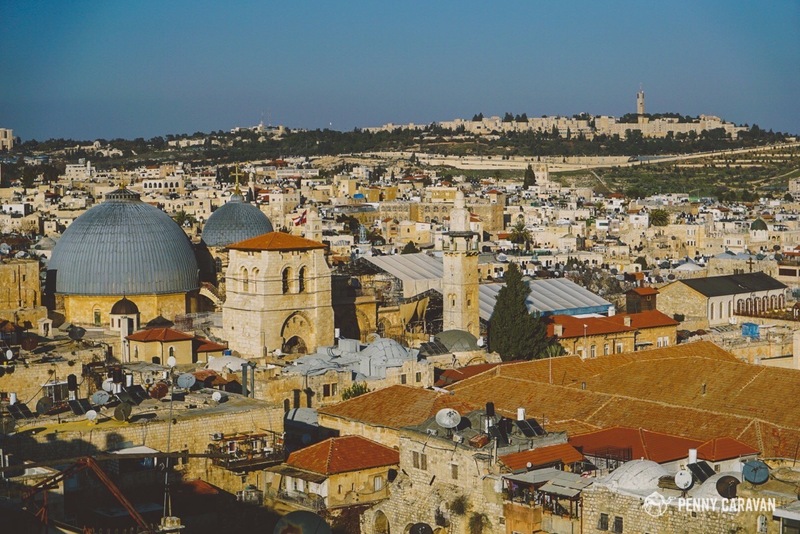 From here you can also depart on a ramparts walk to stroll along the outer wall of the Old City. 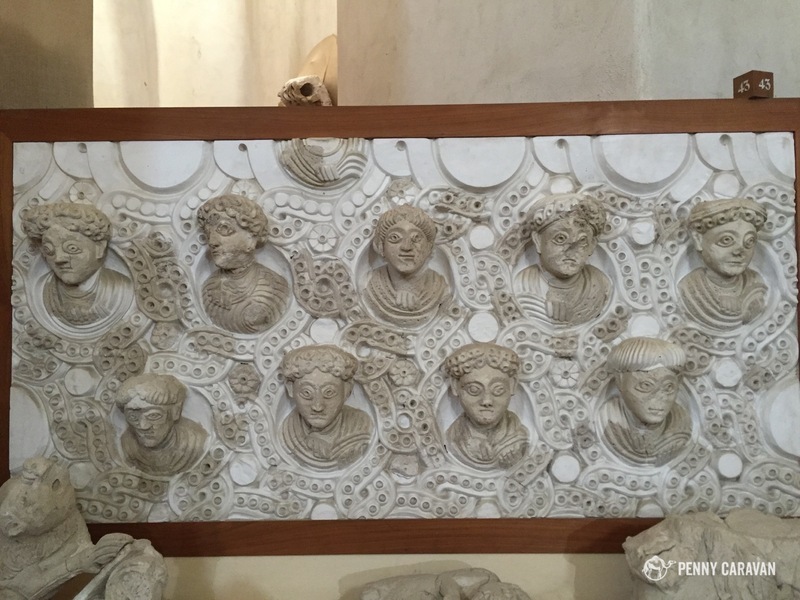 Allow 2-3 hours to visit the citadel and museum. 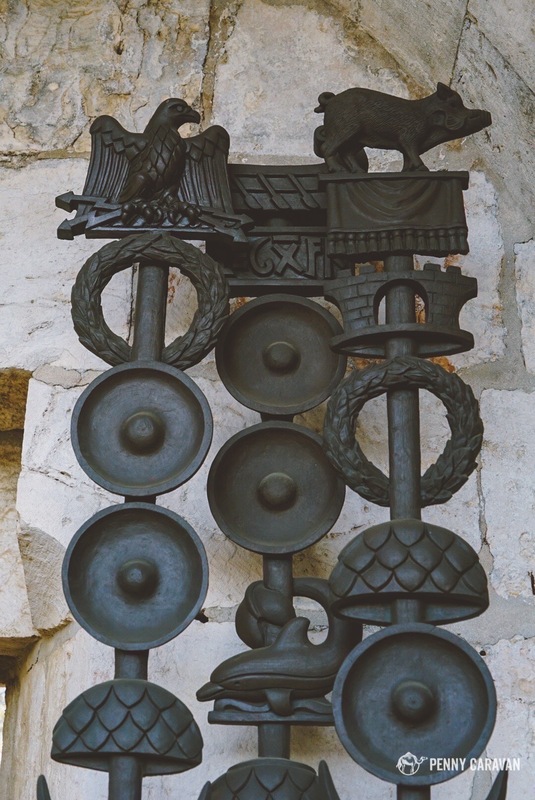 Replicas of Roman legion banners. 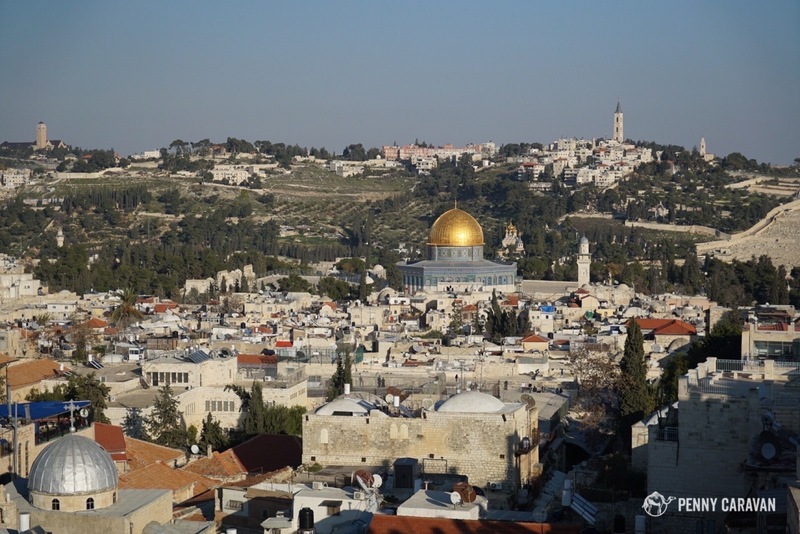 View from the top of the city walls looking to the Temple Mount, with the Mount of Olives beyond. View looking toward the Church of the Holy Sepulchre. 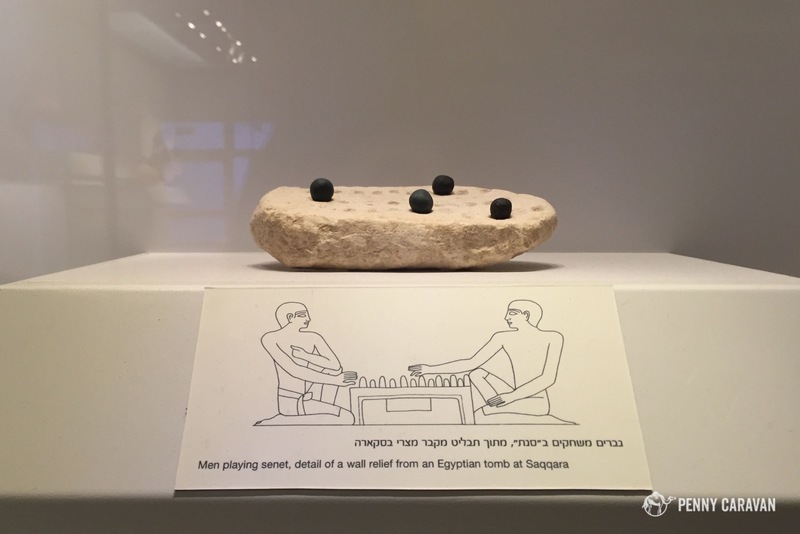 Housing a collection that was excavated during the days of the British Mandate, the Rockefeller Museum was a pleasant surprise. 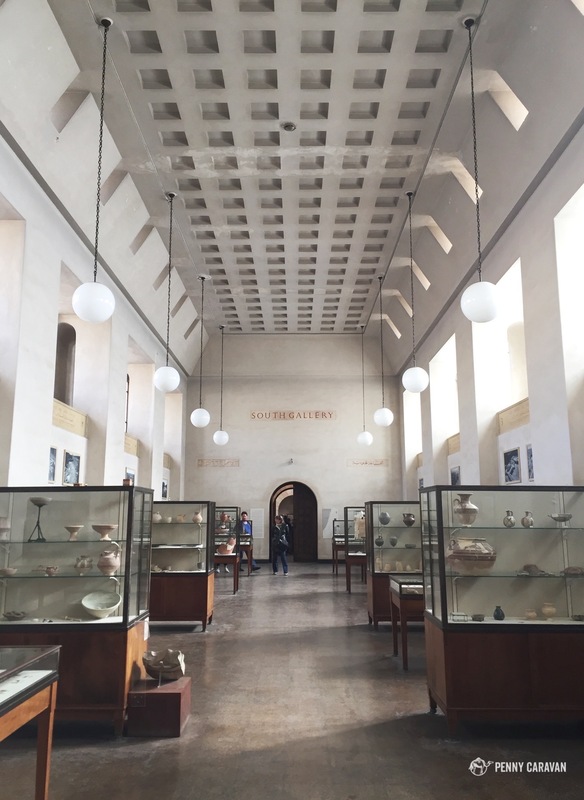 The museum does need renovation, updating the exhibits with more explanation, but if you’re content to gaze on the artifacts at your own pace, you’ll enjoy the collection and the beautiful architecture of the museum with fewer crowds to deal with. Allow an hour or two to make the full circuit of the museum. Courtyard. When can we move in? 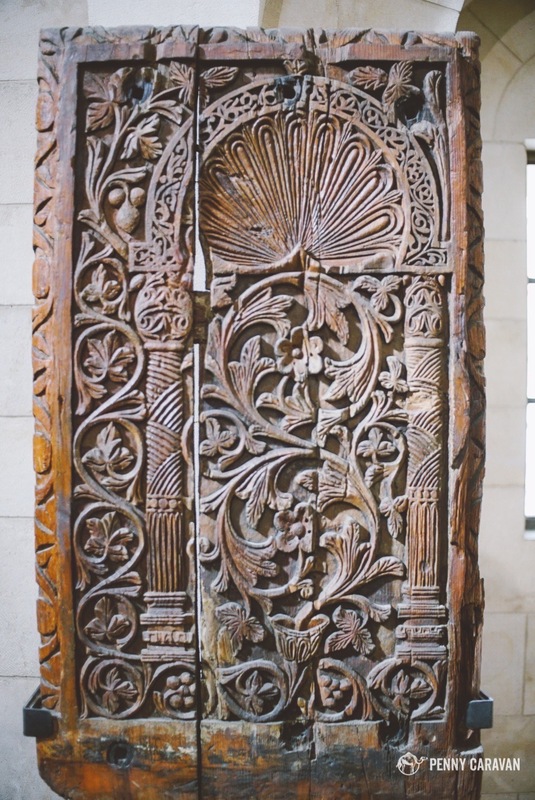 Gorgeous pieces from Al-Aqsa Mosque. 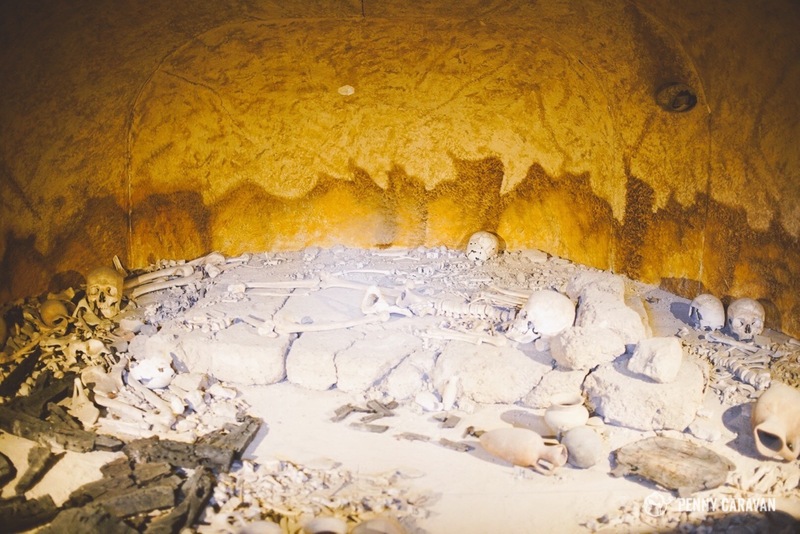 The tomb of an ancient shepherd-king. 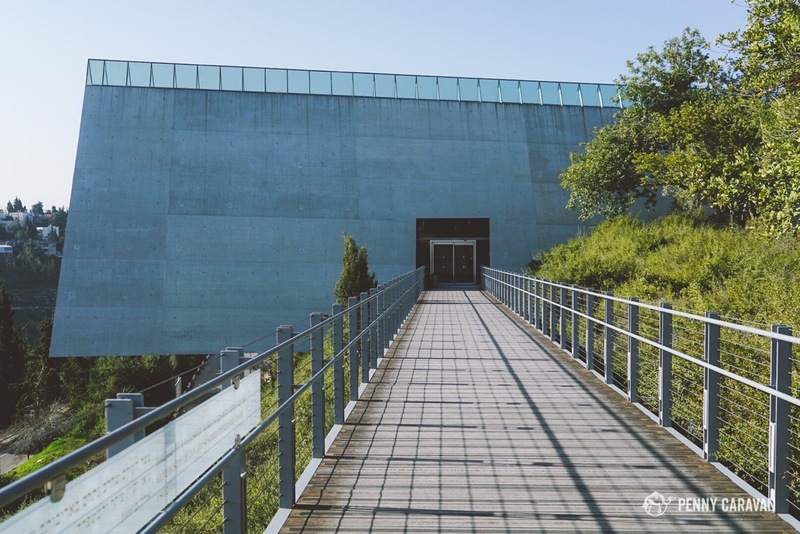 A contemporary art museum showcasing rotating exhibitions of works dealing with current affairs. Themes often include war, racism and human rights issues. 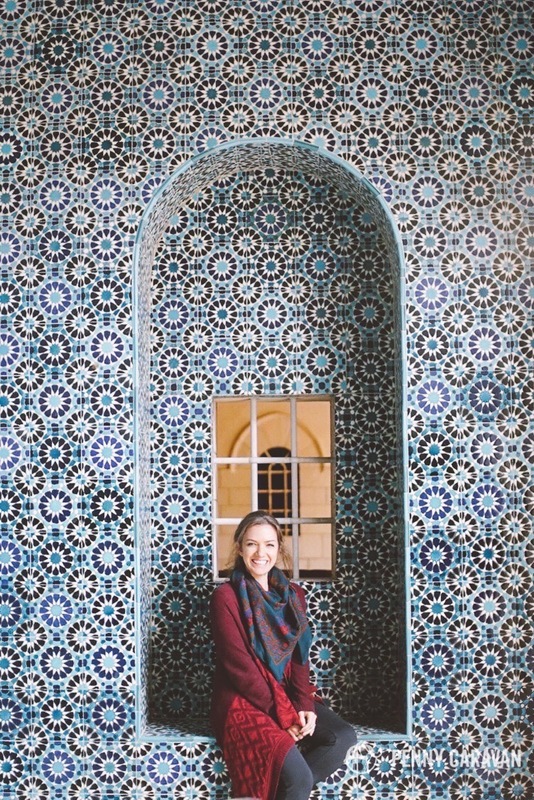 Tucked into a neighborhood near the prime minister’s home, this museum’s focus is on the Islamic world’s contributions to the arts and sciences. 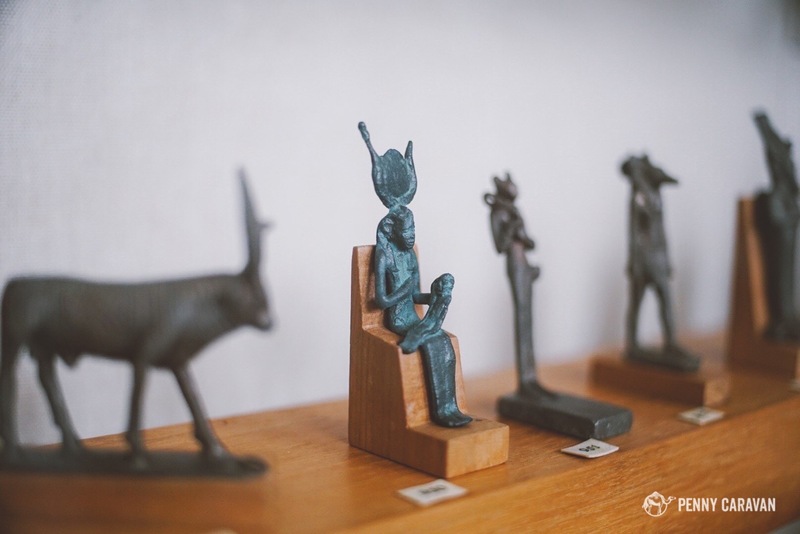 Piecing together the history of the Near East through the lens of the Bible, this museum’s collection is designed to help those stories come to life and show how interconnected all the different cultures are that have inhabited the land.